The waiting time at the pediatrician’s clinic was rather long. Despite that, we managed to find a decent seat by the corner. My almost three-year-old son sat beside me. Unlike most kids who were running around, he chose to sit beside me, and began to savor the chocolate, which consisted of two delicious creams (milky cream & cocoa cream) with two crispy wafer balls. After a few minutes, I saw him playing with the toys he got from Kinder Joy. As I looked intently at him, I saw my young man having tons of fun. Indeed, play is a necessity to most kids. It is vital for their development. But play doesn’t mean expensive toys. It can be a simple toy that one gets from a Kinder Joy pack, for instance, and the rest is pure creativity. I would like to assume that most children, if not all, use their imagination in dealing with things. To keep boredom at bay, they sing, jump, or run. Without any toys available, they play pretend. The possibilities are just endless with a creative mind and a happy soul. Having observed my children, I’ve learned some ways to encourage creative play among youngsters. Let me share them with you. My toddler often sits beside me when I set up my laptop and begin to play with the keyboard. When he smiles at me, it’s hard to resist giving him a few hours of my time. When we play, I let him lead and direct. He has his own story to tell and I just support his every move, going with the flow of his story. I always remind myself of an advice I once read. Let your children lead the play. If you are the one directing it, it is not anymore your child's game but yours. There are some kids who need a little nudging to play pretend. For instance, guide your children to shoot an imaginary ball. They may find it weird at first but they are bound to get the hang of it. Let us be there to help nurture our child’s imagination and creativity. It seems that little tykes do not get tired from playing the same building blocks repeatedly. They will line up their toys in the same corner and look at us victoriously, waiting for a kiss or a clap. It wouldn’t hurt as well if we shower our kids with surprises from time to time. That is what I love best about my husband. The other night, my husband came home from work with a bag of little something for the boys. The children know how to show their appreciation. They spent hours joking and playing around with the toys from Kinder Joy. I just love that in each pack of Kinder Joy, there is always something inside, aside from the yummy chocolate treat. Each pack has exciting surprises for kids that are fun and sparks creativity and imagination in children. That same night, my three older boys – who consider themselves ‘grown-ups’ already – played with their little brothers. I enjoyed looking at them and hearing their laughter. They also encouraged our toddler to think out of the box. As the little one was enjoying his pretend play with the little toys he got from each Kinder Joy egg, the three kuyas excitedly devoured the chocolate. That’s why they would never fail to offer to split the egg-shaped packaging into two! They like to have the chocolate and they would give the toys from the other half to their little brother! Anyway, I will not interrupt the bonding sessions between the siblings. From time to time, I would see them scoop a spoonful of chocolate and offer it to their little brother too. I remember that one time; we even cut a cardboard box to create a stage theater. We then displayed our little one’s cute Kinder Joy toy collection and pretended that we were filming a scene. It was such a fun show that we ended up doing it for days. 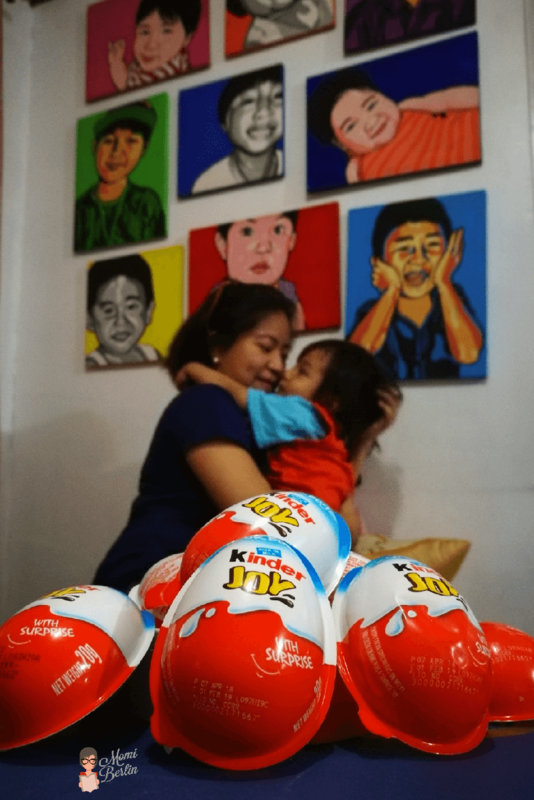 It amazes me that more than just a snack, a Kinder Joy pack also encourages bonding between parents and their kids. And kiddos can be thoughtful enough not to demand for the biggest or most expensive toys. What they need from us is really more of our attention and time. Children are mostly playful. They are imaginative. Allow them to have fun, as play is how they learn. It may appear shallow to most grown-ups, but in reality, when children play, we are actually helping them to develop new skills and even realize their potential. Yes, play allows children to develop skills that may be useful in their future. Encourage creative play in children. Allow them to spend the time to play. Let us make sure, too, to spend quality time with our kids. 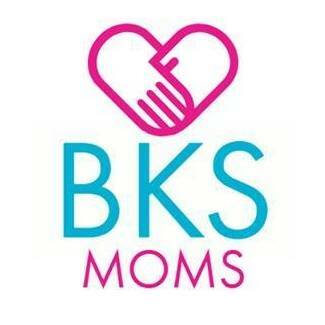 It is essential for parents like us to make the best use of our time with our youngsters. They need time with us to relax and play. And as we bond with our little ones, it wouldn’t hurt as well if we indulge in a few scoops of the delicious chocolate treats from Kinder Joy, available at all leading retailers and supermarkets. For more pictures and stories about the fun of Kinder Joy, check out the hashtags #worldofkj and #kinderjoyphilippines on social media! 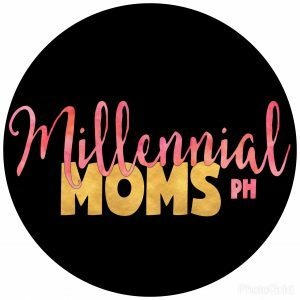 Thank mommy i really like this topic po for my kids. 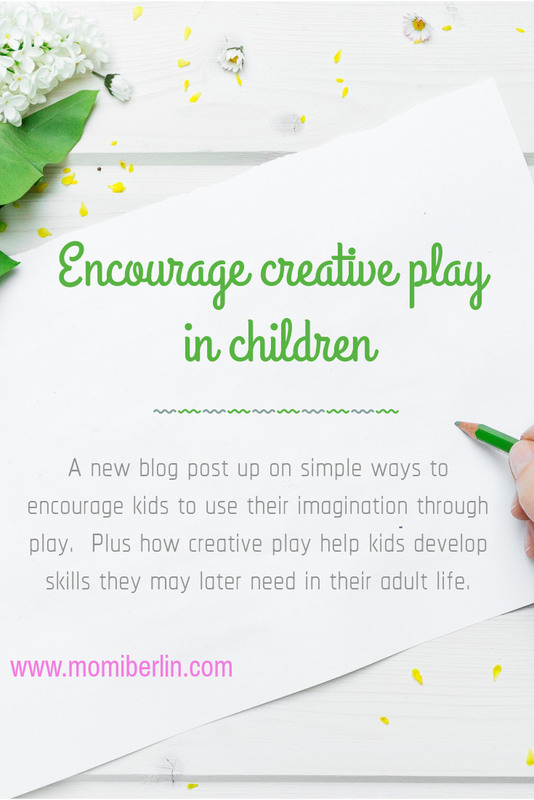 “Encourage Creative Play…. Thanks for the suggestions! I have four g-kids ages 6, 4, 4 & 3 and it’s always fun to see how their minds work and where their creativity takes them. These are some great tips! I have three kids 6,4, and 2 and sometimes have difficulty coming up with things to do. Most of the time I’m so tired after work that I forget that I should be a kid with her. This is a much needed reminder for me. Well for one thing you are right. In today’s world, kids can get too much addicted to gadgets and all, I don’t mind them getting addicted to these things, but not at this age maybe after age of 10. It’s a good thing to come up with creative ideas especially pretend play.If you can do this, if you can also do acting(some friend told me this). Hope you are having fun with your kid now. Being one big kid at heart is always so fun since kids are very cheerful and can get very playful. Just what I enjoy doing with my little brothers at time and actually helps to encourage creative play in kids. This is such great tips! Letting your children use their imaginations to be creative is so great! Being a present parent is so important. I know that my kids love playing with their imaginations but they really get into it when I’m an active participant. Play is how kids learn. So it is always a good idea to give those kids the space and materials to explore with. Trust me I enjoyed reading this post. It is almost what we suggest parents for play therapy.. Play is so important for the little ones. I really love that the idea of learn through play has really grown and we are finally accepting it! I love watching my kids just play! Yes, so important! My daughter loves these Kinder Eggs. She says they are delicious and likes the toys inside. When my daughter was younger, I was all about creative play. I feel creative play is important for children to be able to express themselves. My daughter is so creative now that she is 10 years old. Love this! Kids have such an imagination and we should let them continue to cultivate it and foster that! 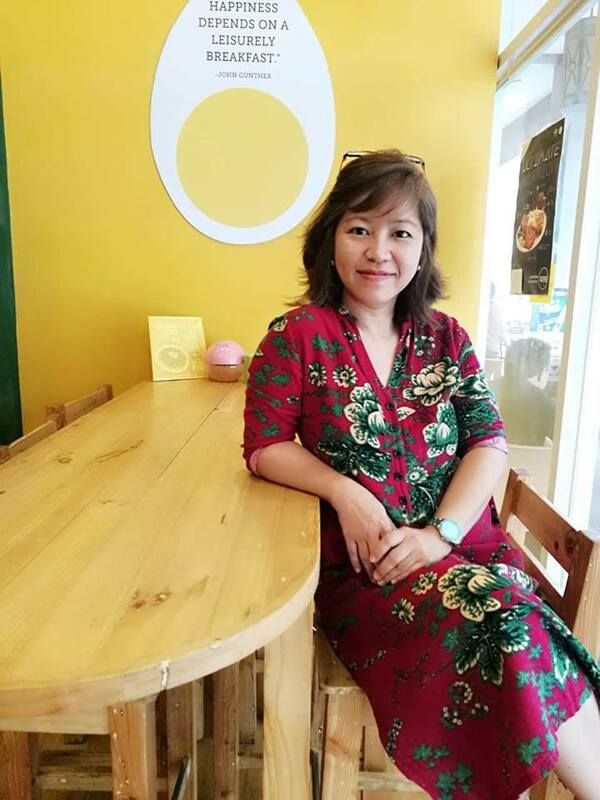 I do love reading this post and you really gave us a nice tips that will help us to build a strong relationship with our kids. Creative play is so important to our kids because in this way they were able to express themselves and exercise their imaginations. This is such a cute post but your tips are so right! let them lead and be part of it. Also, playing with your kids helps to build strong relationships! I’ve been trying to encourage creative play with my grandkids but that’s not always an easy task. My kids grew up without computers and cell phones but the grands are always on their devices. I’m going to use your tips to try to turn that around, at least when they’re at my home. My girls are older now, but when they where younger they made up so many games. It was always fun watching them. These are great tips. My kids and I always having a play before bed time and even before taking their afternoon nap and it was fun watching them using their imagination during their playtime. this is such a fun and creative way to get kids to do more things. this is all great info for when i’m sitting for my friends kiddos. thanks! Thanks for your input momi. 🙂 Yes even me as I child this is how I play before with my siblings. That is why I also encouraged my kids to creative play. Not just fun but a learning phase too. 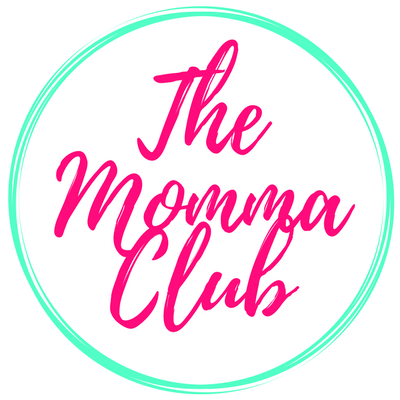 Check out the Parenting Survival Guide for the best practical tips and advice on parenting and get their free BOOk.